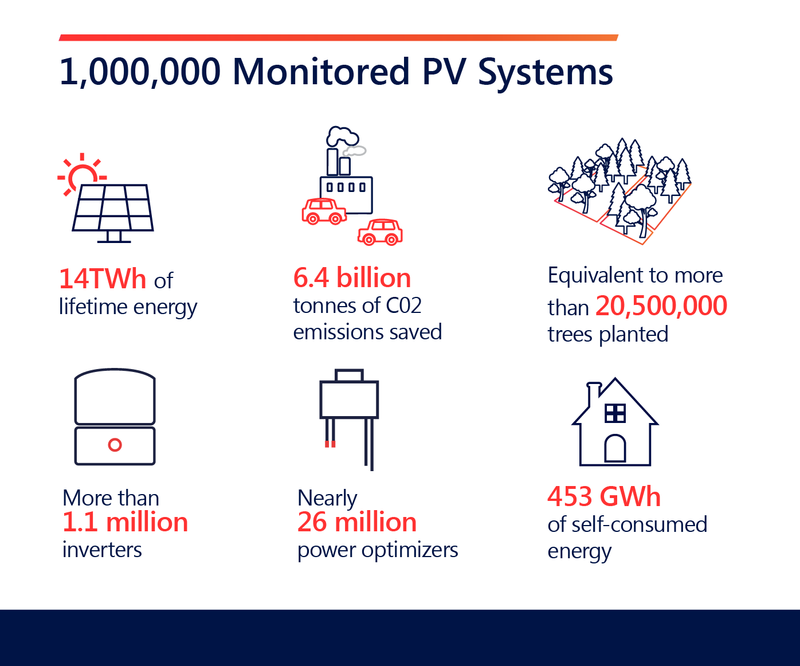 SolarEdge is celebrating the impact of these 1,000,000 monitored PV sites by focusing on the sites’ positive climate impact. The 1,000,000 monitored PV sites have produced 14TWh of energy, reduced CO2 emissions by nearly 6.5 billion tonnes, which is equal to the equivalent of over 20,000,000 trees planted. More fun facts about the collective impact that installers and system owners make will be presented on SolarEdge’s social media accounts – following along: Facebook, Twitter, LinkedIn, and Instagram.